Mdrive Joint helps alleviate temporary excessive inflammation and pain due to strenuous exercise or over-exertion. It incorporates scientifically proven, clinical driven, safe ingredients and is formulated with only highly pure, concentrated, and specifically standardized extracts to ensure effectiveness. 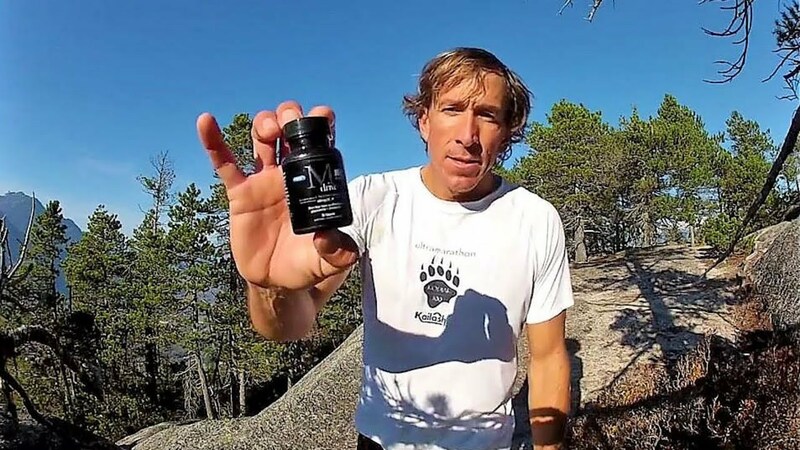 Adventure athlete extraordinaire and coach, Paul Romero, shares why Mdrive Joint formula is the best supplement for joint health he's ever used. Mdrive Joint was formulated around UC-II, an active sourced from chicken sternum cartilage. With the use of a very low, safe, yet highly effective dose, (40mg) we were able to get impressive results. To support UC-II we researched powerful data bases, sourced and tested many extracts until we found a combination that worked in synergy. As it turns out the ingredients we found most effective have been used in Ayurvedic medicine for centuries to alleviate temporary inflammation due to acute physical exertion. The powerful trio includes extracts from Boswellia, Turmeric and a small dose of Bromelain to aid in their absorption. We then added one last thing to this very potent mix, sodium hyaluronate. The salt form of hyaluronic acid which is a component of the lubricant found in our joints. Taken daily you should be able to reach new goals, recover faster and maintain fast paced lifestyle. 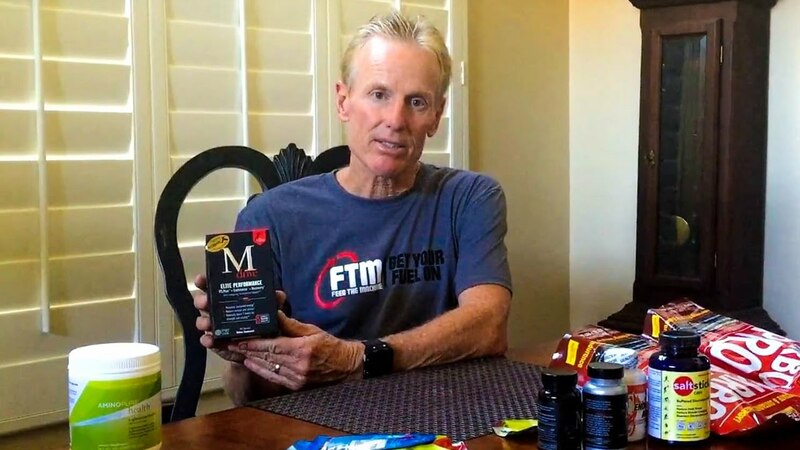 In fact many of the team Mdrive athletes have incorporated the new joint formula into their training and racing program with much success. Mdrive Joint formula features UC-II®, clinically shown to support joint comfort, flexibility and mobility following exercise. Just 40mg of UC-II per day helps support cartilage and joint function. Additionally, Mdrive contains a blend of potent, standardized herbal extracts; Boswellia, Turmeric and Bromelain, which have been used for centuries in Ayurvedic treatments to relieve temporary pain from intense physical activity. UC-II Collagen - As discussed, UC-II is the main ingredient in Mdrive Joint. It is a standardized source of undenatured type II collagen. Type II collagen is the main component of articular cartilage. UC-II is not absorbed into the body, but binds to the surface of a specific part of the lower intestine where it triggers an immune response which stops the body from attacking and breaking down healthy cartilage. Denatured type II collagen does not show this type of effect, but rather is utilized only as a nutrient by the body. Aids in joint comfort in healthy individuals during intense exercise by increasing the time to onset of pain and decreasing the recovery time (offset of pain) after. A clinical study pending publication performed on healthy individuals shows that 40 mg of UC-II supports flexibility and mobility and aids in joint comfort during strenuous exercise. Derived from chicken sternum cartilage, UC-II consists of 25% undenatured type II collagen that supports joint flexibility and mobility in healthy individuals. Turmeric is a member of the ginger family and has been used in traditional Ayurvedic medicine to relieve temporary joint discomfort due to over exertion. Bromelain is a sulfur containing enzyme extracted from the stem and fruit of pineapple plants. Historically, bromelain has been used as an anti-inflammatory due to acute physical stress or over-exertion. Boswellia Serrata - We use a high quality, potent form of Boswellia standardized to 65% boswellic acids. Boswellia has long been used in Ayurvedic medicine to provide relief from inflammation due to strenuous exercise. Sodium Hyaluronate is the salt form of Hyaluronic Acid. Hyaluronic Acid is a component of synovial (joint fluid) where it increases the viscosity of the fluid and is one of the main lubricants. Synovial fluid reduces friction between articular cartilage, but also quickly increases in viscosity with increased pressure thereby providing shock absorption. Synovial fluid also transports nutrients and oxygen to the cartilage and removes carbon dioxide and other wastes.